Saklikent(Gorge) is a place that must be seen at least once in your lifetime. Visit the Saklikent and top attractions of the Fethiye. It’s once in a lifetime catch that you shouldn’t miss. Discover Turkey’s fascinating a safari tour. We offer you a great experience. It is a one day trip both adventure and fun. 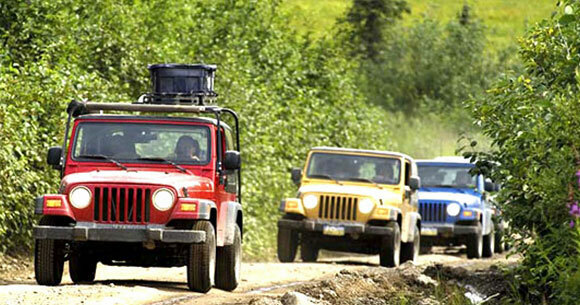 Join our jeep safari and visit the historical sites natural wonders and best beach in Fethiye area. Departing from Fethiye at 8:45 am and head to Tlos where you will see the tombs, theatre and castle left by civilization III (The Lycians, Byzantines and Ottomans). After a little rest and have a drink, we continue along the forest road with outstanding views across the valley to Saklikent. You will be amazed by Europes second largest canyon. It is 18km long and 300 meters high, with a 20 meter high footbridge. Give a break for lunch in a restaurant beside the river and then tour follows this river down the valley to Xanthos, the most important city of ancient Lycia. Visit the ancient ruins and learn of its history before you continue to the sea. At Patara Beach you will drive the jeeps along the deserted sandy beach. Swim and relax under the sun before heading back to Fethiye. You will have many good memories and photographs from this day.